Finding the best raw Shea butter for the face, body and hair makes a great natural skin care raw material to create your own natural hair masks, creams, body lotions, body butters, lip balms, soaps, scrubs and a lot more. 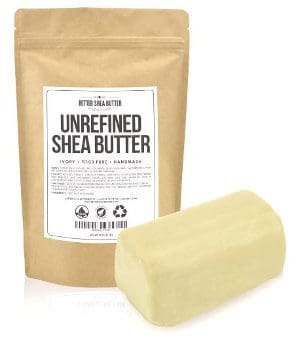 Raw Shea Butter has been always quite popular due to its ability to heal cracked, chapped and dry skin, reduce inflammation, relax wrinkles as well as soften and moisturize both skin and hair. 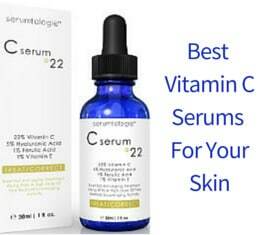 It is also effective as a treatment for skin allergies and eczema. However, many skin and hair care products containing Shea butter also contain a lot of chemical preservatives and other ingredients that many people simply do not want to put into their skin and hair. Shea butter is loaded with vitamins A, D, E and F, and contains essential fatty acids and anti-oxidants that make it the perfect ingredient for homemade skin care and hair care recipes. So, here is a look at 7 of the top reviewed raw Shea Butters for face, body and hair. According to the company, this Unrefined Ivory Shea butter is a high quality grade A fresh raw shea butter which comes from Ghana in West Africa. 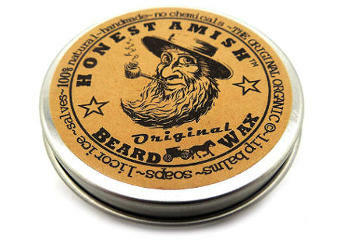 Its smell is slightly nutty and its consistency is rich yet light compared to the yellow shea butter. It comes in a neatly packaged box in the form of a 16 ounce brick which can be used alone or in combination with other natural ingredients such as coconut oil or others. Also, one of its stand out features is that it comes with a recipe/instruction book to help you make your own products. In case you are not pleased with the butter you receive, you have the option either to get your money back or replace it with a new one. Unlike many other types of Shea Butter, this one has no grainy texture. It really makes the skin softer and look younger. It is easy to work with. 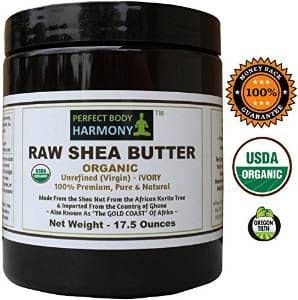 The Perfect Body Harmony Raw Shea butter is one of the two USDA certified organic shea butters presented in this review. It is certified organic by Oregon Tilth and you can actually see and read their certification. This unrefined and virgin butter is imported from Ghana and packaged in an FDA Registered Facility. It is contained in a tall free of BPA 17.5 ounce jar which is amber colored to protect its contents from the harmful UV rays. 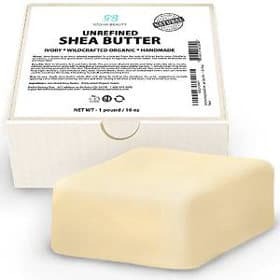 Although this is one of the two most expensive Shea Butters in this review, you do get an ounce and a half more butter. The product is also followed by a 30 day money back guarantee. It is an extremely high quality raw Shea Butter. You can use it straight from the jar or to make other beauty products. 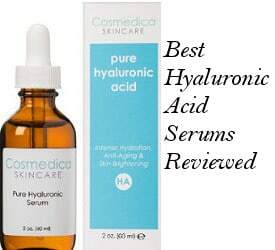 Gives your skin a more youthful look and a silky feel. Makes a really rich cream. It has a nice Ivory color. 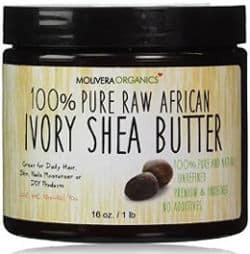 The Molivera Organics Raw Shea butter comes in a 16 ounce UV protection plastic container which is BPA free. According to the company, it has a nice non grainy texture and a light scent. This pure raw shea butter comes with a 100% money back guarantee. Has a very smooth consistency. This Shea butter makes it easy to make your own body butters, hair masks and moisturizing creams. 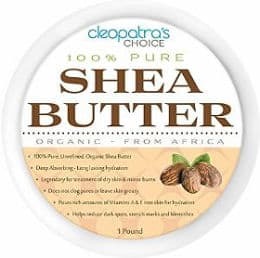 The Cleopatra’s Choice Organic Shea Butter is a 100% pure shea butter made with the finest hand selected nuts coming from the Shea Trees in Ghana. This company has been harvesting and creating top quality raw shea butter for over six years. Their product is packaged in a 1 pound recyclable and resealable plastic container and comes with 100% money back guarantee. You can also download a recipe book for making a variety of skin and hair care products. It really softens the skin. Reduces the symptoms of eczema and helps relieve the painful itching almost instantly. Works perfectly making DIY skin care and hair care products. Has a smooth non-grainy consistency. Heals cracked heels, hands and elbows effectively. 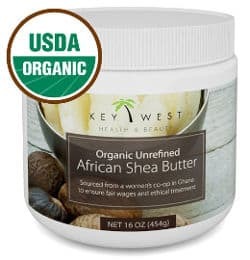 The Key West Health & Beauty African Unrefined Shea Butter is USDA organic and sourced by a women´s Co-op in Ghana to promote fair wages. It comes in a 16 ounce BPA free container with a safety sealed lid and its purchase is followed by a 30 day money back guarantee although you need to know that you will be charged for the shipping when you send the product back. It really helps to relieve symptoms (itching) of eczema. It is very soft and creamy. Sold at a very good price. Radha Beauty is a fast expanding skin care brand creating different skin care products from face and eye creams to serums and more. The Radha Beauty Shea Butter is, according to the company, a premium quality grade A unrefined shea butter contained in a paper box. It comes in a one pound square shaped bar and if you buy it, an eBook with body butter recipes is given to you for free. Radha Beauty also offers a refund or a replacement product if you don’t like their Shea butter, which makes their product perfect to try at no risk. It is also one of the less expensive Shea Butters users really find beneficial. It has a nice buttery texture. It is really nourishing, heals cracked skin and stops the itch of insect bites. It has a nice fresh scent that most users really like. 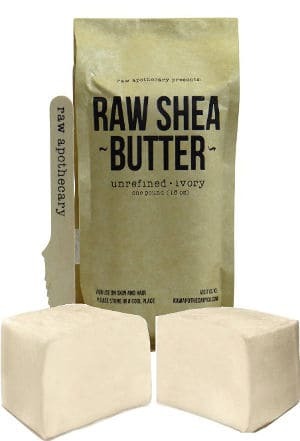 The Raw Apthecary Unrefined Raw Shea Butter comes in a 16 ounce block and has a 30 day money back guarantee. A small wooden knife/spatula is also included to help you cut as much of the butter as you like. It is creamy and smooth, not grainy. Has a nice smoky nut smell that people really like. Excellent for moisturizing the skin. Works well in DIY skin and hair care recipes. All in all, if you are looking for the best Raw Shea butter for your face, body and hair to use in various ways, then one of these options should do the trick.